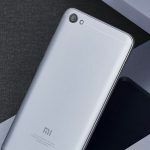 Xiaomi has confirmed that it will release Android 9.0 Pie and Android 8.0 Oreo update for some of its devices in Q4 2018. Software updates are important for smartphones, as they bring new features, bug fixes, and improvements. However, most OEMs are very reluctant when it comes to bringing the latest Android OS to its devices. There are a few companies though, who do promise updates for its customers. One such brand, is Xiaomi, who have now confirmed the devices that will get the Android Oreo and the Android Pie update in Q4 2018. Unfortunately, only the top of the line smartphones from Xiaomi will be getting the Android 9.0 Pie update. 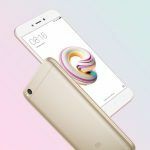 As of now, several Xiaomi smartphones are already running on Android Oreo. Devices such as the Xiaomi Mi 5, Mi 5s, Mi 5s Plus, Mi 6, Mi Mix, Mi Mix 2, Mi Note 2, Note 3, and others are sporting Android 8.0 or 8.1 Oreo. Some phones are also running beta versions of the latest MIUI 10 software. There are a couple of smartphones, which are also running Android Nougat, and are yet to be updated to Oreo. 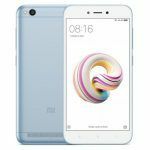 The Xiaomi Redmi Note 5, Redmi 5A, Redmi 5 Plus, and the Redmi 5X, are some of the phones that will soon get the Android Oreo update as well. According to Xiaomi, these phones will receive the update in Q4 2018. Again, there is no precise date available for now, and users will have to wait for the update. Before Xiaomi releases a stable software for these phones, it will release a beta version for testing. This is most likely to increase the wait by a few additional weeks, which means that we can expect Android Oreo to arrive on these devices in December. Apart from confirming Android Oreo update for the aforementioned devices, Xiaomi has also listed the phones that will be getting the Android 9.0 Pie update. Once again, the update will be arriving in Q4 2018, and no exact date has been announced. 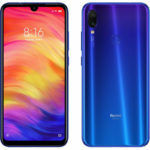 According to the company, the Mi 8 Screen Fingerprint edition, Mi 8 SE, and the recently launched Mi Mix 3, will get Android 9.0 Pie soon. Xiaomi is currently testing the software on phones such as the Mi Mix 2s, Mi 8, and the Mi 8 Explorer Edition. These phones have also received the update in some regions, such as China. 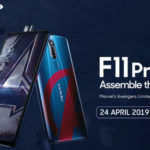 It is likely that the latest high-end phones from Xiaomi will continue to release Android OS updates for another 2 years. However, the rest of the phones will not get any more updates after Android Oreo or Pie. Android smartphones are numerous and manufacturers find it hard to provide the latest OS updates for all of them. Therefore, manufacturers tend to restrict the time consuming process of issuing the latest updates to only their latest smartphones. However, if you own a smartphone that is part of the Android One program, such as the Xiaomi Mi A2, then your device will get the latest updates faster than other devices.